Happy New Year, everyone! While I am always excited to ring in the new year, it’s also with a bit of sadness that I say goodbye to the “old” year. And what a year 2015 was. Twelve books I loved, eleven rooms painted, ten bags of dog food, nine lovely houseguests, eight blog posts, seven NB visits, six weddings , five provinces travelled, four months of renos, three camping trips, two sad goodbyes, and one new career. Oh, and countless dogventures. To date, my focus has been on places to spend time with your dog outside. 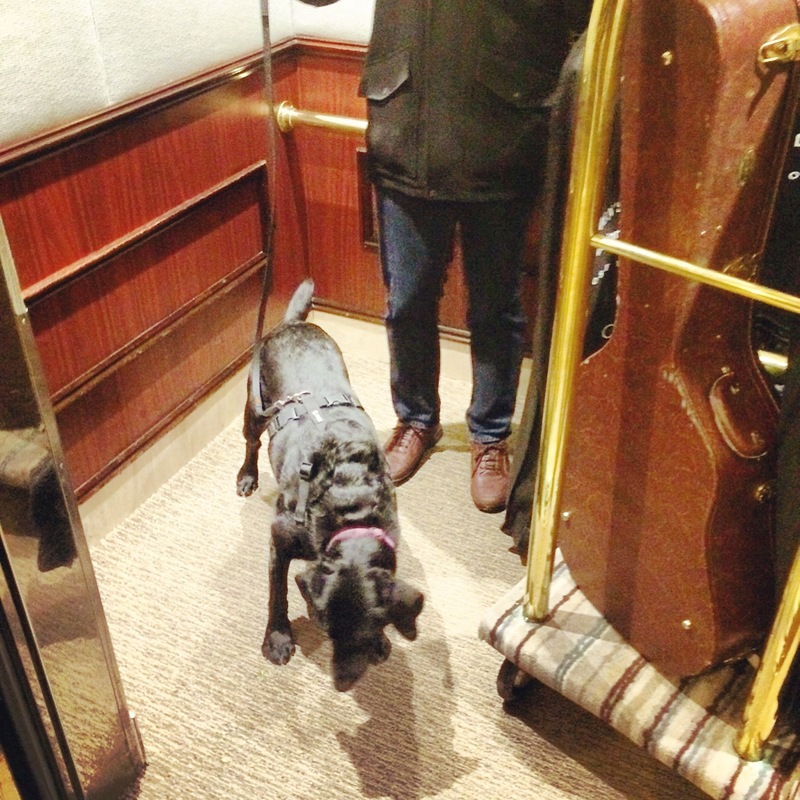 But this week’s dogventure takes us inside one of our favourite Halifax hotels. This New Year’s Eve, we had the good fortune of being invited to a beautiful wedding of two beautiful people. Which meant we had a great excuse to book a hotel room downtown so we could eat, drink and dance the night away. The wedding was at the Delta Halifax. 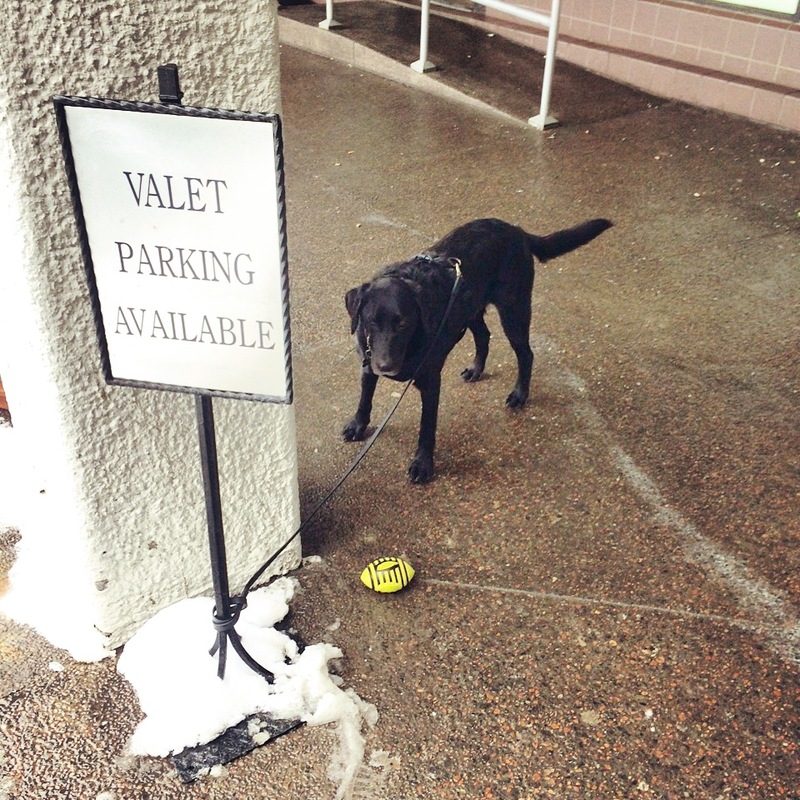 This is one of my favourite Halifax hotels for the simple reason that it is very dog-friendly. So not only did we get to spend NYE living it up with a great crew of humans, but we got to bring Dallas along, too. 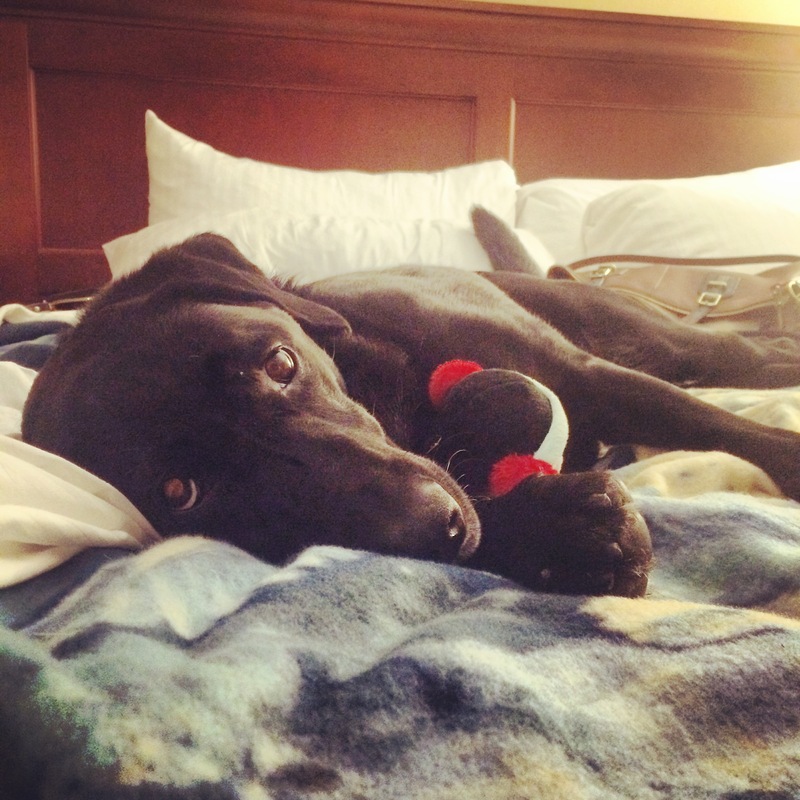 A lot of people are surprised to learn that a hotel like the Delta Halifax allows dogs. But it turns out a good number of Halifax hotels are pet-friendly (probably because they know how awesome dog owners are). We have also stayed at Cambridge Suites Halifax and the Atlantica Hotel Halifax with Dallas, and we had good experiences there, too. The Delta Halifax is number one in our books because it’s centrally located, it’s connected to nearly every important downtown building, and the staff are great. I mean, they didn’t even shut down our late-night wedding after-party, and they were really nice to Dallas. Case closed. 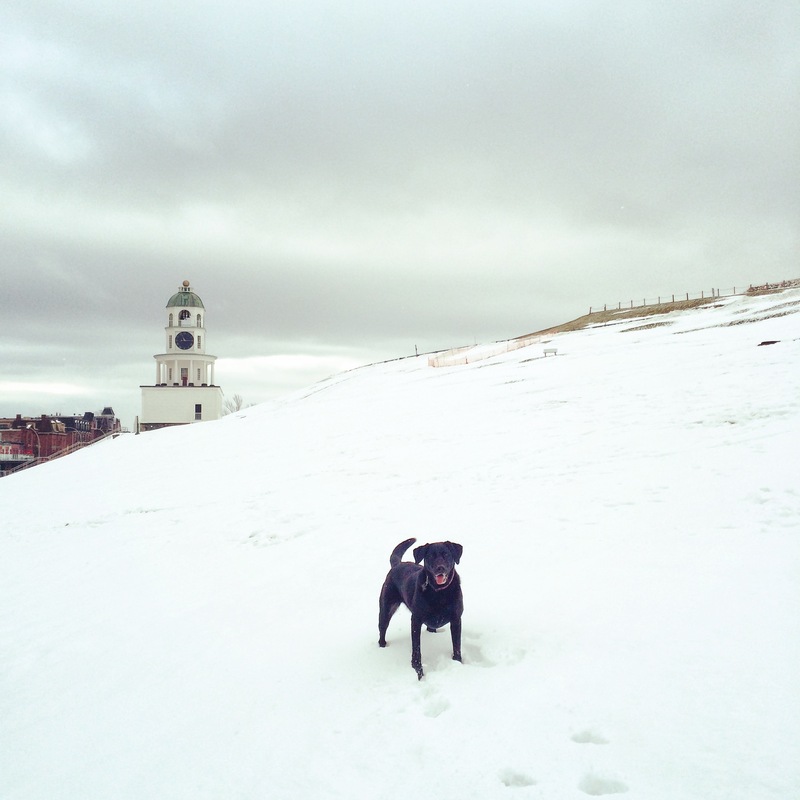 Spending our first #fetchfriday on Citadel Hill was the icing on the cake.